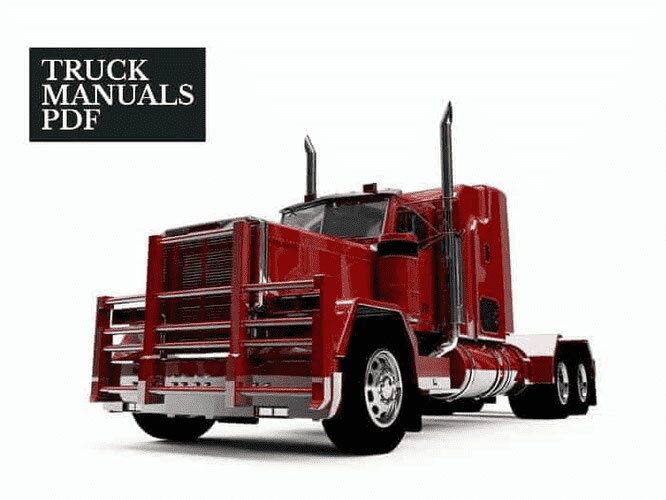 The Magirus Deutz truck manual PDF above the page. History MAGIRUS car brand started with the fact that, Conrad Dietrich Magirus submitting an application in 1860 to the mayor of his native city of Ulm with a request to register his small workshop, was not even thought that over time, this workshop will become one of the largest factories for the production of trucks in the world . At age 20 he became interested in the creation of tools to fight the fire and began to produce them in a small "Ulm factory of fire ladders and equipment K.D.Magirus" (S.D.Magirus, Ulmer Feuerloschgerate-und Leiternfabrik) since 1864. Magirus very quickly gained recognition and became the end of the XIX century the most influential in Europe, supplier of fire fighting equipment. For steam fire pumps horse-drawn in 1907 came propelled "Magirus" with a 2-cylinder steam engine of 60 hp, have submitted to 2 million liters of water per minute. In 1916, at the initiative of the military establishment "Magirus" began to manufacture the same type of 3-ton military trucks models "3d", "3CS" and "ZK1" with a capacity of 40-70 hp engines, with propeller or chain-driven rear wheel . The outbreak of 1973-1974. the energy crisis worsened the situation of the company, made "Magirus-Deutz" to abandon the most powerful models and think about the possibility of merging with other companies. At that time in his possession were two main businesses: the production of trucks and engines in Ulm and buses in Mainz, employing a total of 12 thousand people. By 1975, 14 basic models left in the company program (from «120D7FL» to «232D15AK») carrying capacity 4,1-8 tons. In 1973, "Magirus-Deutz" began negotiations with Italy's Fiat to establish a truck manufacturing joint holding company. Signed in October 1974 with foreign trade association "Autoexport" large "contract of the century" on the supply in the Soviet Union about 10 thousand. Heavy trucks and truck instilled hope in the management of "Magirus". However, a month later concern "Klöckner-Humboldt-Deutz," deduced from the structure production of trucks "Magirus-Deutz". Independence lasted only a couple of months. January 1, 1975 came into force an agreement between Fiat and concerns "Klöckner-Humboldt-Deutz" on the establishment of a new international association IVECO, which also includes French and Italian companies. Since then, issued in Ulm cars had a complicated brand Iveco-Magirus-Deutz.